The CPTPP: What is it – and Should Thailand Join? On 30 March 2018, the Bangkok Post reported Deputy Prime Minister Somkid Jatusripitak expressing his support for Thailand in joining the Comprehensive and Progressive Agreement for Trans-Pacific Partnership (CPTPP). Also known as the TPP-11, this amended version of the TPP has been the version under consideration since the United States announced its plans to stay out of the deal. Interestingly, this comment by Dr. Somkid came on the heels of the US hinting that it might rejoin the TPP if the conditions are favourable. Developments such as these again raise the question: Is it a good idea for Thailand to join the CPTPP? The issue remains complex, and there is no hard and fast answer. The benefits and costs of most trade deals tend to fall on different shoulders. For instance, a free trade deal may grant the processed rubber producers access to a foreign market due to trade liberalisation, while electrical appliance manufacturers may find an influx of price competitive foreign products flooding the domestic market. Economists have long advocated that trade liberalisation should be accompanied by suitable economic policies that serve to alleviate the damage to one sector of the economy and redistribute wealth gained from the benefits of trade. Nonetheless, these mechanisms often remain theoretical while implementation tends to be either slow or non-existent. Any particular trade deal, in other words, could be reasonably well planned but nevertheless suffer due to inadequate application of safeguards. For a more grounded view of the matter, we must first understand the context for which joining a free trade agreement would be advantageous or disadvantageous to a country. This will allow us to assess and arrive at a conclusion from a strategic and macroeconomic perspective. Some background may be helpful for audiences less familiar with the development of various regional free trade agreements. The original TPP stands for Trans-Pacific Partnership. Sometimes also referred to as the TPPA (Trans-Pacific Partnership Agreement), it is a multilateral free trade agreement that was negotiated amongst 12 countries – Australia, Brunei, Canada, Chile, Japan, Malaysia, Mexico, New Zealand, Peru, Singapore, the United States and Viet Nam. While it is often said that the TPP was – until president Trump decided to withdraw the United States from the agreement in 2017 – a US-led initiative to counter the economic weight of China in the Asia Pacific region, in reality the TPP started as a relatively low key trade agreement between a handful of Asia Pacific countries. The original parties were New Zealand, Chile and Singapore. The United States’ involvement came in the final year of the Bush presidency in 2008, when we began to see US policy pivot to Asia. US-led negotiations commenced in 2008 and were concluded in late 2015. The TPP was signed by the member countries in February 2016, which had by that point seen its members grow to 12 countries. After the United States withdrew from the TPP, the remaining 11 member countries went on to revise the original TPPA and relabelled the agreement as the Comprehensive and Progressive Agreement for Trans-Pacific Partnership (CPTPP). The CPTPP was signed by the member countries’ trade ministers on 8 March 2018. Free Trade … But at What Cost? With that background to the TPP (and its successor the CPTPP) in mind, we move back to our discussion on whether Thailand would benefit from joining the CPTPP. In his 2017 letter to the shareholders, Warren Buffett remarked that “it is insane to risk what you have and need in order to obtain what you don’t need.” In the spirit of these sentiments, we must ask what the CPTPP offers Thailand that it does not already possess. How much economic benefit does Thailand stand to gain by having a preferential trade arrangement with Canada and Mexico? Which other benefits would Thailand gain from the remaining CPTPP members, considering what Thailand already has under existing free trade arrangements? What would Thailand have to sacrifice in order to join the CPTPP? Precise answers to these questions requires a detailed study of the country’s existing trade relationships and potential trade dynamics with Canada and Mexico, as well as a thorough comparative review of our existing trade agreements with the remaining 9 member countries and the CPTPP. At the time of writing, it is understood that Thailand’s Department of Foreign Trade is conducting such studies on the CPTPP. The results of such studies will make for fascinating reading if they are made available to the public once they are completed. In part 2 of this article, I will share some high-level macroeconomic statistics on Canada and Mexico for the reader to consider, along with Thailand’s trade relationship with these countries. In part 1, we discussed the origins of the CPTPP and Thailand’s existing trade relationships with other members. Of the 11 countries already signed on, Thailand already has free trade deals with 9 of them. The remaining countries – Canada and Mexico – are highly significant players on the world stage. Canada has the 10th biggest economy in the world, with a GDP of 1.5 trillion USD and a population of 36.2 million. Mexico’s economy is the 15th largest, with a GDP of 1.06 trillion USD and a population of 127 million. Thailand’s economy is ranked 28th worldwide, with a GDP of 390 billion USD and a population of 69 million. Currently, Thailand has a positive trade balance with Canada – i.e., the value of Thailand’s exports to Canada exceeds the value of Thailand’s imports from Canada. In 2016, Thailand’s exports to Canada were valued at 2.3 billion USD, whilst imports from Canada were valued at 680 million USD. Thailand accounts for less than 1% of Canada’s total trade value with the world. Canada’s primary trade partner is the United States, which accounts for over 50% of Canadian exports and over 75% of total Canadian imports. Even goods from China account for less than 5% of total Canadian imports. Thailand also enjoys a positive trade balance with Mexico. In 2016, Thailand exported 5.4 billion USD worth of goods to Mexico, with imports from Mexico totalling only 497 million USD. Thailand’s share of Mexico’s total global trade value is approximately 1.5%. Like Canada, Mexico’s primary trade partner is with the United States, which accounts for 81% of total Mexican exports and 46% of total Mexican imports. Combined, Canada and Mexico account for 3.7% of total Thai exports. It is true that the presence of a preferential trade arrangement may result in higher trade volume in the future. It could be further argued that the CPTPP is not limited to trade in goods, but also includes other economic sectors by liberalising trade in services and investments. All of these factors may contribute to further economic opportunities and benefits for Thailand if the country joins the CPTPP. Nonetheless, even if we believe that it is beneficial for Thailand to enter into a free trade arrangement with Canada and Mexico, we must therefore ask the following question: Are there any other alternatives to joining the CPTPP in order to achieve such arrangements? Thailand could, of course, enter into bilateral free trade agreement negotiations with Canada and Mexico. We have already done so with Chile and Peru. In this context we must understand the advantages and disadvantages of deciding on whether to negotiate for a bilateral or multilateral free trade arrangement. In principle, bilateral trade talks tend to be concluded faster and tend to result in greater concessions being offered between parties. The logic is simple. It is easier for 2 people to reach a consensus than for 10 people to do so. Also, when negotiations are conducted between 2 people, each is more likely to grant better deals because any offer is exclusive to only the other person. Where 10 people negotiate for a deal, each person is less inclined to be liberal in granting concessions as these concessions must be reciprocated with 9 other people. Even in the context of CPTPP, which already saw the conclusion all of its legal instruments, a new entrant will still have to negotiate for its tariff concessions and trade in services concessions with all CPTPP members. As such, negotiations may still take considerable time. On the other hand, if there is significant disparity in the influence and size of the parties entering into bilateral negotiations, it may be advantageous for the smaller party to seek a multilateral venue for negotiations. In such case, the less influential party may attempt collective bargaining with other like-minded parties at the table. Thus, even if economic studies suggest that Thailand would benefit from a free trade arrangement with Canada and Mexico, it remains an open question whether Thailand should forgo the CPTPP and seek out bilateral negotiations with Canada and/or Mexico in order to gain greater access to those markets. In the course of joining the CPTPP, Thailand would need to have the approval of all standing 11 member countries, all of whom may require Thailand to grant concessions order to grant Thailand a seat at the CPTPP table. For instance, Peru, which experienced a positive trade balance of 12.8 million USD with Thailand in 2012, the first year that its bilateral FTA with Thailand took effect, saw this trade balance eroded into a negative trade balance in the years thereafter. Peru’s negative trade balance with Thailand peaked at 392.5 million USD in 2015 and remained at negative 245 million USD in 2017. Peru may be compelled to seek additional tariff concessions from Thailand under the CPTPP in an effort to improve its balance of trade. 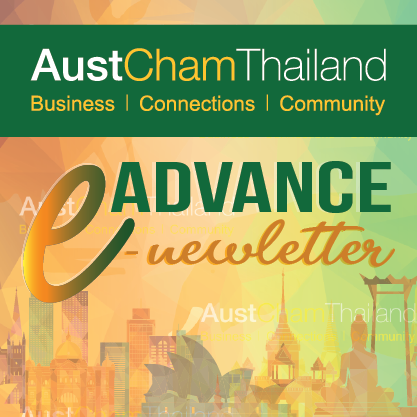 Another example is Australia which saw Thailand raise domestic excise tax on alcoholic beverages even as the country was committed to reducing import duties on Australian wine under the bilateral FTA. Australia might be inclined bring this matter before the CPTPP negotiation table to seek redress. Given that Thailand already has favourable trade arrangements with these countries, it does not make sense for Thailand to place itself in a position to have to renegotiate. The elephant in the room is of course the United States. Although the US has backed out of the TPP already, there is always a possibility that it might rejoin this free trade arrangement. From a geo-political perspective, the US may very well wish to do so in the future when domestic sentiments allow for it. Presidents come and go, and the attitudes of constituencies may change, but geo-political realities remain constant. When enough influential parties in the US deem that the CPTPP is in the country’s own best interest, the country may reverse policy and decide to join the CPTPP at last. Presently Thailand does not have any free trade arrangement with the US, even though it is Thailand’s largest trading partner. Exports to the US account for 11.25% of Thailand’s total exports, beating China by a narrow margin (China accounts for 11.05% of Thailand’s exports). Previous attempts by Thailand to solicit the United States’ interest in negotiating for a FTA stalled due to Thailand’s political turmoil during the late 2000s. Thailand had also previously declined participation in the TPP on concerns that certain conditions – such as limitations on government procurement, extensive intellectual property protection requirements, exceptions to sovereign immunity, limitations on pharmaceutical procurement practices – as advocated by the United States were not favourable to Thailand. However, under the CPTPP, the member countries have suspended many of these provisions of concern, opening the door for Thailand to join on relatively favourable terms. The suspension may only be lifted with unanimous consent of all CPTPP member countries. Thus, by joining the CPTPP, even if Thailand does not gain any immediate trade benefits from existing CPTPP member countries, Thailand could stand to gain a free trade arrangement with the United States if and when it rejoins the CPTPP. This is the wild card that Thailand may be betting on. In such an event, Thailand would have gained a free trade arrangement with the United States without having to face down the United States in a bilateral trade negotiation, and would be able to seek collective bargaining with other CPTPP member countries on matters of common interest. In this context, it may very well make strategic sense for Thailand to join the CPTPP. Long-term economic decisions always involve a significant amount of uncertainty, with much to be gained from an accurate reading of the likely outcomes. There are no guarantees in such a business, however – except that the government’s job will not end with whatever choice is ultimately made here. Responsible negotiation and implementation will be of paramount importance, whichever of the two diverging roads Thailand decides to travel by. Tanva is a Partner at Grant Thornton, providing advice on customs compliance, customs valuation, product classification, product rules of origin, goods subject to import/export controls, ASEAN free trade agreements, trade and investment privileges, customs free zones, and excise tax. He assisted clients in customs post clearance audit and customs dispute resolution, trained client personnel on compliance awareness, managed documentary reviews, and advised and developed strategies to manage non-compliance risks. Tanva served in various advisory capacities with private organizations and the Thai government on matters involving trade facilitation, economic development and legal policies. He was a member on the Committee on Foreign Economic Policy Reform before Thailand’s National Reform Council and a former member of the Committee on Import and Export Promotion and Trade Facilitation before the Federation of Thai Industries. Previous [April 2018] What types of programs can companies invest in to help improve the skills of entry level employees upon joining the workforce?